The Athlon Talos BTR 1-4x24 30mm AHSR14 SFP IR-MIL Model has an AHSR14 second focal plane illuminated MIL reticle in it. If you ask any hunter they’ll tell they probably have filled more tags in the low-light hours than any other time. With that said, it would be wise to design a scope to excel in early-morning and late-evening light. With the Talos BTR cope with Athlon advanced multi-coated lenses for clarity and brightness in low light, you’ll be able to add precious minutes to every hunting day that you’ve worked hard for. 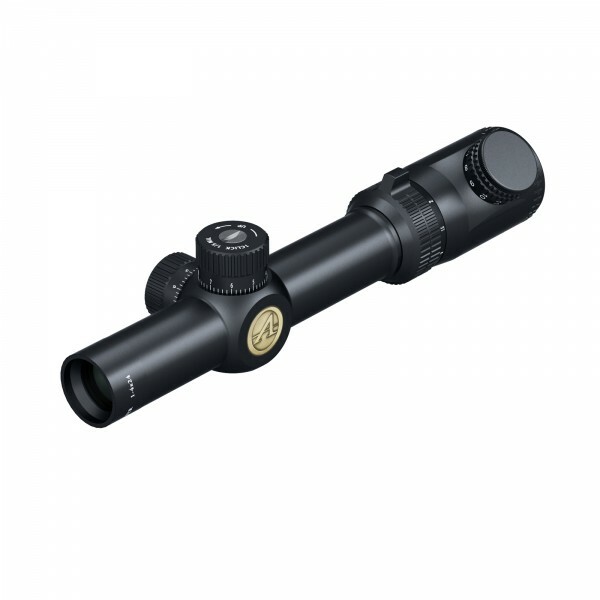 The spotting scope, with its 4X magnification range, will give you great versatility whether you are hunting whitetails in the dense southern pine forest of Georgia or prairie dogs in on the wide open ranges of Wyoming. With one-piece tube design, the Talos BTR line includes an assortment of specialty scopes for big-game, varmint, MSR’s, 22 rimfire, slug, black powder and turkey hunting.